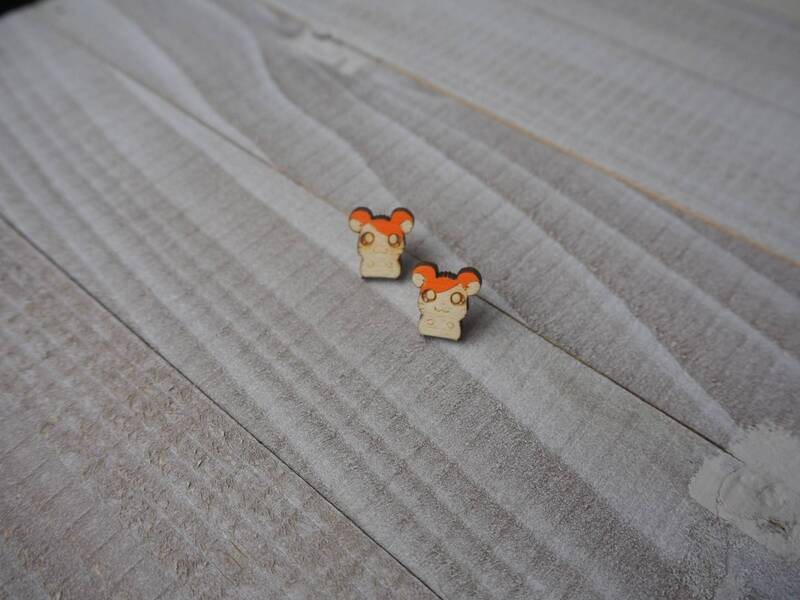 Hand painted Hamtaro earrings, inspired by the game and show. * Pick between 1/2" tall or 3/4" tall. These are so cute! 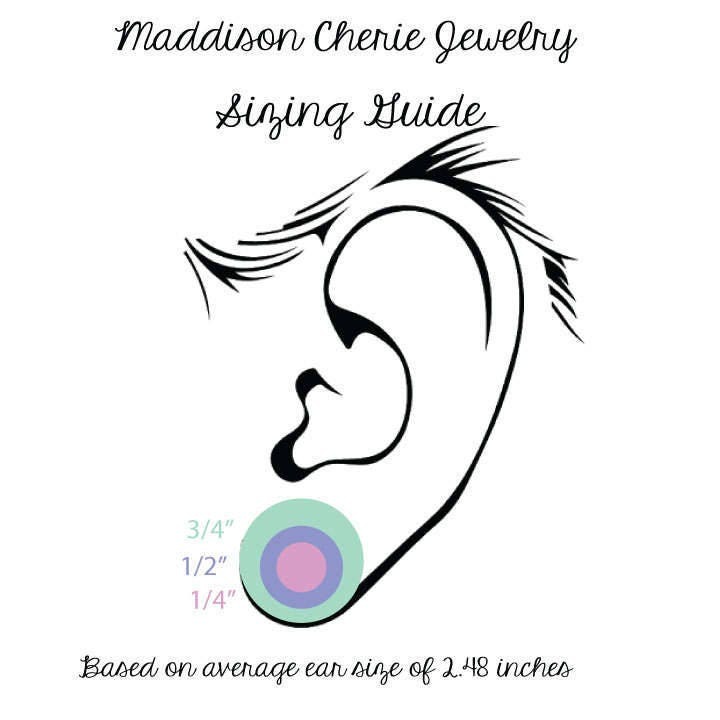 They feel lightweight, so they don't feel heavy or stretch your ear lobe. Love! 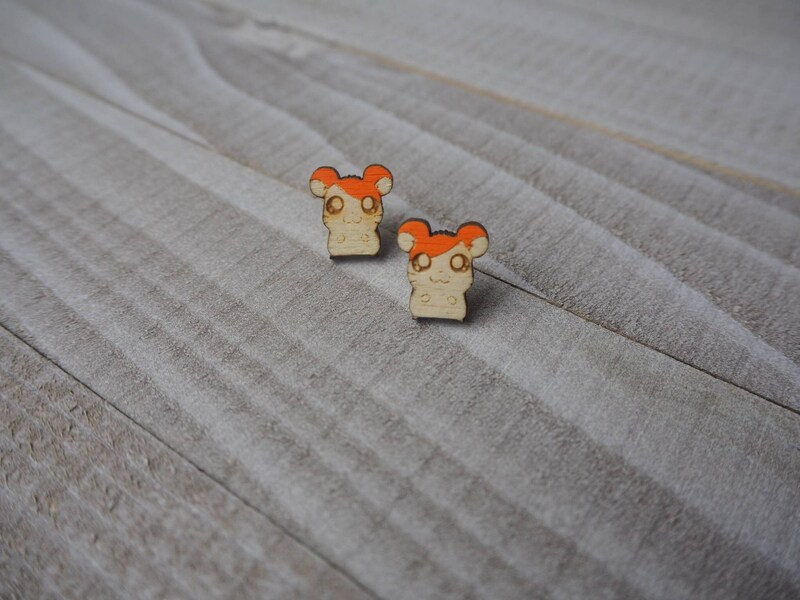 Note: the orange on Hamtaro's ears is much more beautiful & vibrant than my photo shows. The lighting was just off.